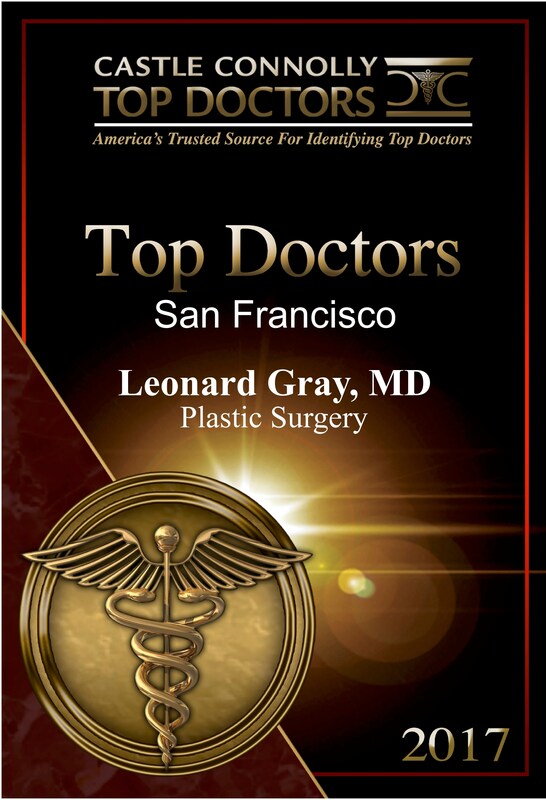 Leonard Gray, MD, FACS has had a highly successful private plastic surgery practice for over 20 years in San Francisco, CA. Bay Area Plastic Surgery is located at the historic 450 Sutter Street Medical Building in downtown San Francisco where the board-certified Dr. Gray offers an array of breast, body, and face surgeries, as well as nonsurgical and minimally invasive procedures. With a truly patient-centered practice, it is important to Dr. Gray that his patients have the best office experience available and an outstanding surgical experience as well. He strives to listen to and understand his patients so he can provide excellent solutions for them. Dr. Gray holds privileges at St. Mary’s Medical Center and Seton Medical Center in San Francisco. However, all of his cosmetic surgeries are performed in his newly-built, state-of-the-art surgery suite: The Bay Area Surgery Center. It is AAAASF-certified and showcases some of the best equipment and instruments available. It is located within his office and provides perhaps the finest views of the San Francisco Bay of any operating room in Northern California. 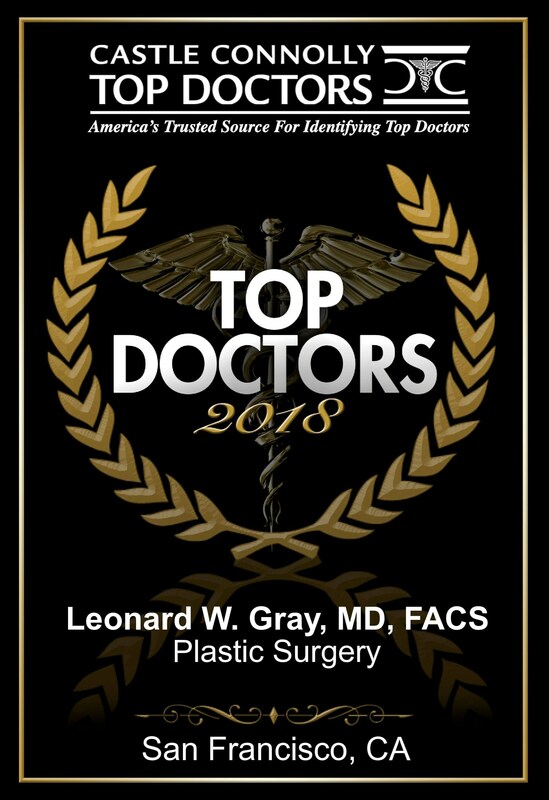 Well regarded in the field of plastic surgery, Dr. Gray is a diplomat of the American Board of Plastic Surgery and the American Board of Surgery. Dr. Gray is known for his expertise, skill, and innovation in cosmetic breast surgery. He often performs very complex breast revision surgeries, yielding outcomes that exceed his patients’ expectations. When treating patients with capsular contracture, Dr. Gray utilizes a special technique that lowers the recurrence rate to less than 1%. He is also very skilled at various mastopexy (breast lift) techniques. He is one of the few plastic surgeons who know and perform the vertical mastopexy technique. Dr. Gray invented the nonsurgical laser breast lift, LazeLift, for great results with minimal dowtime. Dr. Gray provides a comprehensive list of cosmetic plastic surgery and nonsurgical procedures. He specializes in breast augmentation, revision breast augmentation, liposuction with SmartLipo and Cellulaze, rhinoplasty, facelifts, eyelid surgery, tummy tucks, and fractional CO2 resurfacing (including the Madonna eye lift). In addition, Dr. Gray offers minimally invasive cosmetic procedures like dermal fillers, chemical peels, and more. Dr. Gray earned his Bachelor of Arts degree in Biochemistry and Master of Arts degree in Immunology at the University of California, Berkeley, completing his undergraduate studies with honors. He then attended the University of California, Los Angeles Medical School. Upon graduation, he received the prestigious and highly coveted AOA Research Award; one of only five medical students in the nation to receive this distinction. Dr. Gray trained in surgery at Harvard in what is now the Deaconess/Beth Israel Hospital system and was the Chief Resident of the Harvard Deaconess Surgical Service 1988 – 1989. He completed fellowships in Plastic Surgery, as well as Hand and Microsurgery in San Francisco, and he served as the Chief Resident for Plastic Surgery from 1993 to 1994. 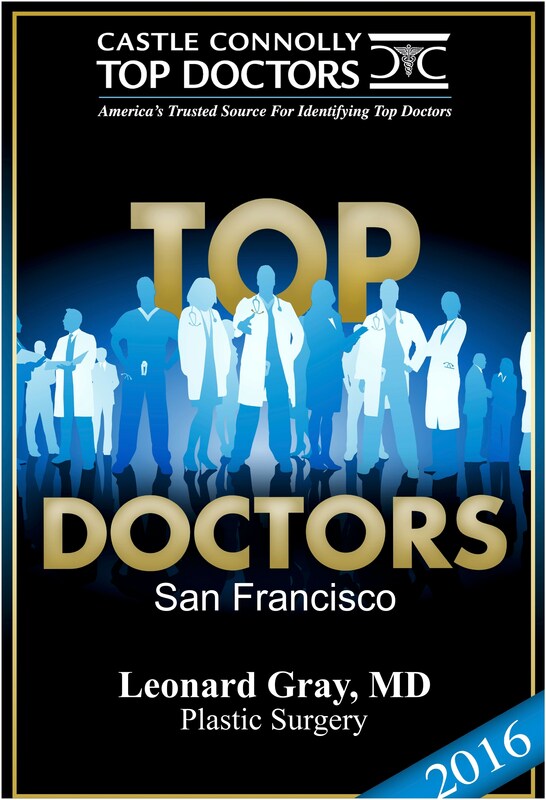 Dr. Gray has been awarded Castle Connolly’s “Top Doctor” award badges for 2013, 2014,2016, 2017 and 2018 “America’s Top Surgeons” by the Consumer Research Council of America, The Ultherapy Visionary Award, and has been featured as one of the Best Plastic Surgeons in The San Francisco Bay Area. Dr. Gray’s interest in remaining on the cutting-edge of his profession propels him to visit, and collaborate with colleagues throughout the United States. He regularly attends plastic surgery conferences, where innovation is showcased and expertise is shared. Further, Dr. Gray’s concern and compassion for people, who do not always have access to plastic surgery, has taken him to remote villages in Guatemala and the Philippines, where he has volunteered his time and operative skills.